Giorgio Berrugi has won accolades throughout the world for his radiant, warm Italianate sound, his exceptional musicality and the expressive nuance of his interpretations. Berrugi has performed at many of the world’s leading opera houses, concert venues and music festivals such as the Teatro alla Scala, Royal Opera House London, Lincoln Center in New York, Theater of Champs-Elysées in Paris, Deutsche Oper in Berlin, the San Francisco Opera, the Gewandhaus Leipzig, the Concertgebouw Amsterdam, Tokyo’s Suntory Hall, London’s Wigmore Hall, the Savonlinna Festival, Accademia di Santa Cecilia in Rome and the Arena di Verona. He has collaborated with eminent conductors such as Zubin Mehta, Christian Thielemann, Fabio Luisi, Andriss Nelsons, Gustavo Dudamel, Daniel Oren, Gianandrea Noseda, Pinchas Steinberg, Nicola Luisotti, Myung-Whun Chung, Manfred Honeck, Roberto Abbado and Jaap van Zweden. 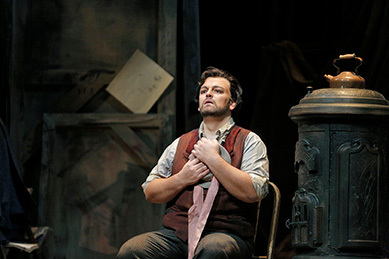 Highlights of recent seasons for the Italian tenor include 120th anniversary La Bohème in Turin, Gounod’s Roméo et Juliette at the Arena di Verona, Simon Boccanegra at Teatro alla Scala, Der Rosenkavalier in London; as well as performances as soloist in Verdi’s Requiem in New York with the London Symphony Orchestra, Milan with the Filarmonica della Scala, at the Théâtre des Champs-Elysées in Paris, in Rome for Accademia di Santa Cecilia, in Lucerne, Hong Kong, Manchester, Dallas, Valencia and Riga. Before becoming a singer, Berrugi was a very accomplished clarinetist, and had already won important international prizes both as a soloist and in chamber music; he also held the first clarinet position in the Orchestra Sinfonica di Roma before beginning his vocal training in 2007. 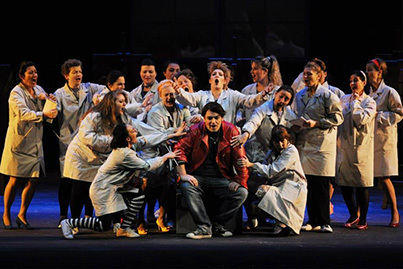 After just a few months into his formal vocal studies, he was noticed and immediately invited to sing his debut as Rodolfo in La bohème at the Teatro La Fenice in Venice. 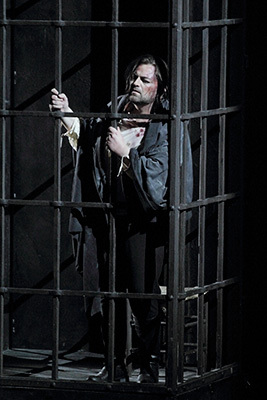 From 2010 to 2013, Berrugi was an ensemble member of the Dresden Semperoper, where he debuted important roles such as Don José in Carmen, Riccardo in Un ballo in maschera, Mario Cavaradossi in Tosca, Nemorino in L’elisir d’amore, Duca di Mantova in Rigoletto, and Gennarino in the world première of Hans Werner Henze‘s Gisela. In program for the 2017/2018 season Un ballo in Maschera at Bolshoi in Moscow, Die Fledermaus and Messa per Rossini at Teatro alla Scala, Simon Boccanegra at Concertgebouw Amsterdam, Tosca and La Bohéme at Teatro dell’Opera in Rome. Future engagements includes La traviata at the Lyric Opera di Chicago, Madama Butterfly at Paris Opera, 8th Symphony of Mahler with Wiener Philarmoniker.